The 7 Best Milkshakes in Arkansas! A milkshake is often the way to go when you’re craving ice cream. In Arkansas, we know how to do milkshakes just right. So next time you’re finishing up a juicy burger, or you simply have a sweet craving, consider one of Arkansas’ delicious shakes. Here are some of the best spots in Arkansas to get that rich, ice cream shake! This historic spot in Jasper has been serving folks in the Newton County community for over 100 years. 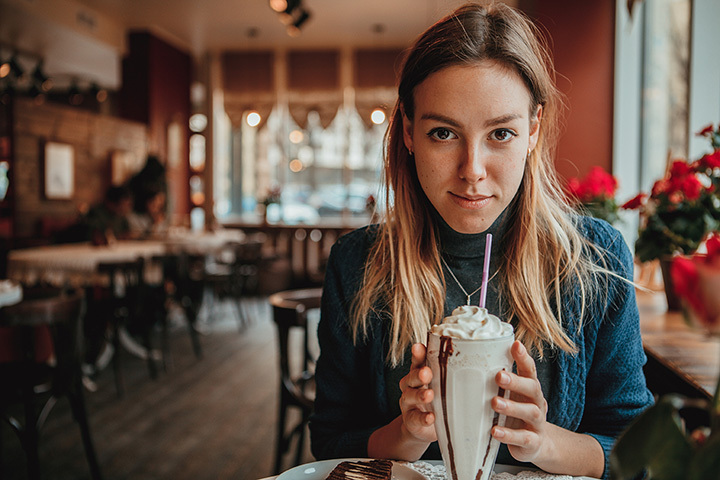 Not only is it well-known for being the only restaurant on the square with live music every Saturday, but Ozark Café also features some of the best shakes in all of Arkansas. The Purple Cow Restaurant is for the young of all ages! This popular family favorite is well-known for its hand-dipped, purple vanilla shake. The shakes here are such a huge hit for birthdays that many have taken advantage of the free birthday shake program at The Purple Cow. This popular spot in Little Rock is well-known for its burgers, salads, and shakes. Big Orange features popular shakes like “Shake of the Moment,” “Nuts about Nutella,” and “Arkansas Blue Sail Coffee Shake.” Big Orange has two great locations in Little Rock. Suzie Q Malt Shop has been serving the Northwest Arkansas area since it opened in 1960. One of the reasons this great spot has been in business for so long is the amazingly friendly staff. Of course, the milkshakes and other treats bring the customers back again and again. For over 80 years, this well-known restaurant chain has been famous for steakburgers and milkshakes. One shake that keeps satisfied customers coming back again and again is the famous Steak and Shake Nutella shake. This spot in Searcy has been slinging shakes since 1991 when the first one opened in California. The rich milkshakes at Hwy 55 are topped with whipped cream and a cherry. It’s hard to talk about milkshakes without mentioning this world-famous chain. Braum’s Ice Cream and Dairy Stores is one of the most well-known ice cream spots in Arkansas and features a variety of tasty milkshake options.